If you are allergic to cats or dogs, you may be thinking about getting yourself a bird. Did you know that birds have unique personalities? Not only do they have a character they want to live in the best habitation as well. Compared to the four-legged friends you cannot leave them to roam around, as they will fly away. You need one of the best suitable bird cages here for your feathered friend. 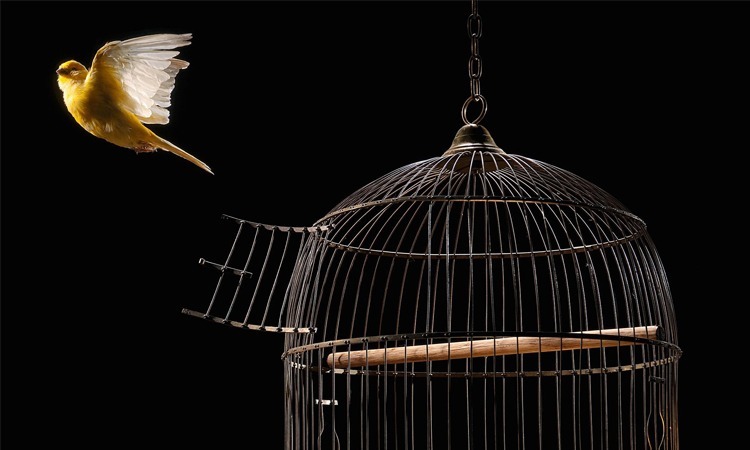 Check out our listing of the top 10 best bird cages here. 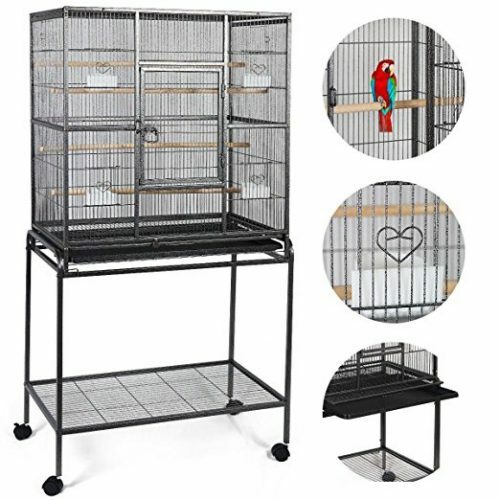 You can find a roomy cage for your finch to fly in or even a large one for your macaws. Whether you own a budgie or parakeet, find a suitable pen right here on our birdcage review list. 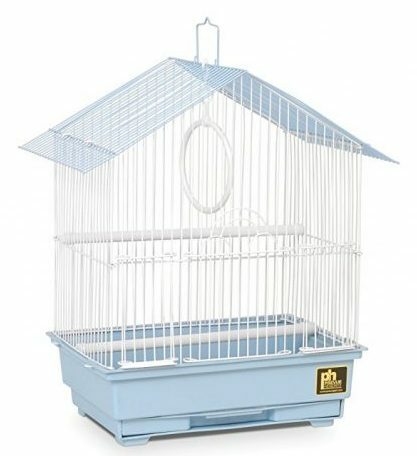 The next birdcage from Prevue Pet Products has a blue plastic design suitable for any small bird. The gorgeous thing about the enclosure is it also serves a travel cage. Included you receive two plastic cups for Buddy to enjoy his food. There is a swing with two plastic perches so that he can sway and play. 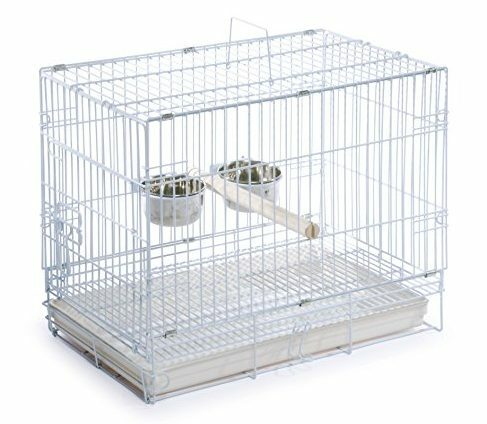 If you have limited space, you can buy the Bird Cage Stand separately to keep him in the kitchen or on the patio. Customers are pleased with the price but suggest you tie the door down as your feathered friend can quickly open it. 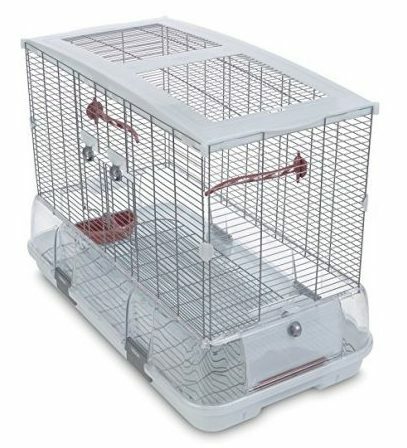 For an easy to assemble cage, you need the Arched Prevue Pets birdcage. Everything snaps into place, and it is easy to keep clean. Your feathered friend will acclimate comfortably and you can un-snap the top section from the pan to clean. The bottom part has a durable rubber structure with two side clips and the enclosure comprise light metal wires. Clients are pleased with the price point, but the shape of the cage makes it awkward to hang toys. Are you planning to travel and need the perfect bird enclosure to take Mango with you? Try the Hendryx travel birdcage for your feathered friend. For short-term voyages, the cage is ideal and includes two stainless steel dishes. There is also one perch included. To obtain access to the bird, it has a side door you can use for the bird to walk into its cage. For taking your bird on vacation with you, customers found the product portable, comfortable to carry, and easy to store. With the birdcage from Yoyoung, you can keep your bird stimulated indoor and outdoor. The exterior of the enclosure is powder-coated and has a steel wire with plastic structure. At the front is two doors and the inside has four wooden perches and four food cups of plastic. On the top is a handle and the plastic tray slides out and the openings in between the wires pet-friendly. Users are pleased with the durable design and the patterns made in the wiring. For your budgie, lovebird, or canary friend you can look at the Vision Medium birdcage. The bird has loads of flying room and a high perch. You will love the debris guard with a broad base and the way the food cups placed to lessen the amount of mess. The pole and dishes have a green color, and the wire is pet-friendly. A double door opens wide to the inside and suitable for birds who take a stroll outside the cage. 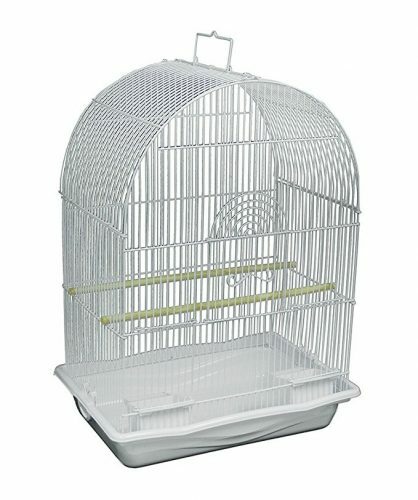 Consumers found the birdcage easy to assemble and have a durable design. Another Vision birdcage you can look at is the more extensive model suitable to keep more than one bird. Included in the enclosure your bird has a perch to get the perfect grip. The pole has wavy patterns and varies in diameter. Furthermore, you know how messy Snow and Titan can be. You will love the next feature as each food bowl has house guards to protect food from flying around everywhere. There are smaller doors on the side to give you entry to the foodstuff, and the front doors have a double door design. You open the doors to the inside and serve as a landing pad for the two lovebirds. 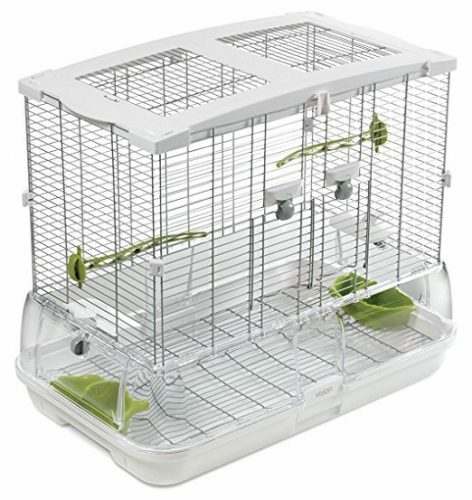 Bird lovers like the stylish design and the ease of cleaning the cage. Unfortunately, you will have to cut cage pages to size. For the best bird cage with a stand, you need the Giantex enclosure. The birdcage is perfect for any parrot to live. The framework has a rust-resistant steel structure, and the metal tray removes for cleaning. The front door locks and the removable grate have four casters for moving the cage. You get access to the four feeding cups via doors, and it has four perches for resting and scratching. Bird lovers found the pen easy to assemble and lightweight to carry. 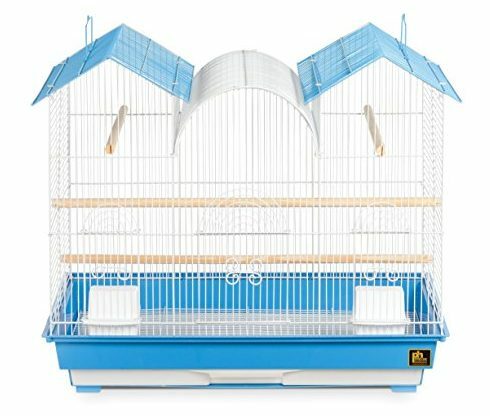 Your budgies will love living in the Hendryx triple roof birdcage. The enclosure looks stylish and the bottom grille and trays removable. You receive two feeding cups, and two wood perches included. At the top is a handle for carrying. Consumers are pleased with the efficient space and excellent design. Here we have another great deal if you need a birdcage for your feathered friend, the Hampton Deluxe with Stand. 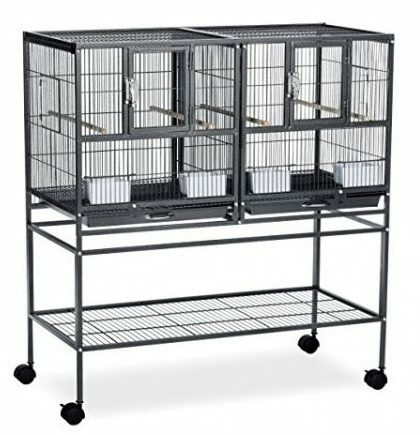 The stackable breeder cage has an innovative design and suitable for multiple small birds. Inside the cage, you have four plastic cups and four perches. The structures durable with the iron construction and you can make two smaller enclosures with the divider. There are two front doors with locks and has side nesting doors with pull out trays. The great thing is this birdcage has exceeded many a consumer’s expectations. Users found the structure durable and great to use for breeding. 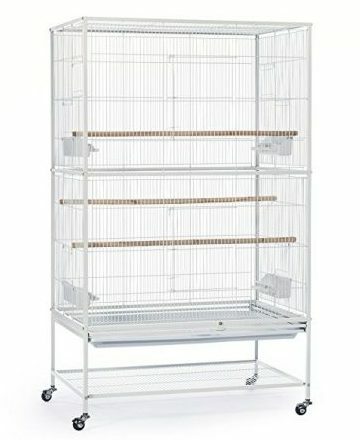 The next flight cage from Prevue is perfect for multiple birds to live together. Alternatively, you can use it for your parakeet. On the inside of the cage, you receive four double cups with three wood perches. The top and bottom section comes apart and has a pullout tray. The constructions of iron and is easy to assemble while the chalk white color fits in with any home décor. The most significant thing that consumers love is the fantastic price as it includes the cage and stands. Another benefit is the enclosures easy to clean. Give your feathered friend a perfect home for them to fly and relax in right here. 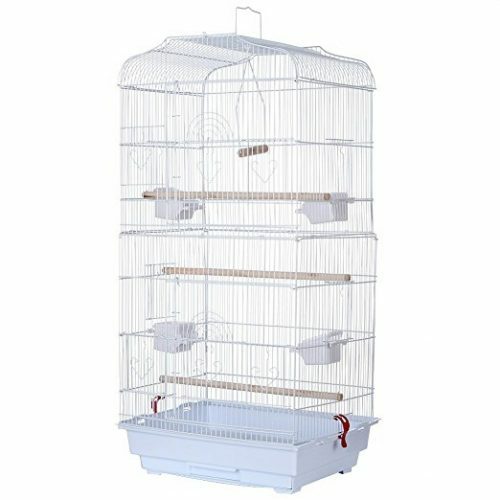 Select the finest birdcage from the top 10 bird cages reviewed and make one of them your pets home. The birdcages offered here received excellent ratings and offered you different sized enclosures to keep your birds safe.